BEAUTIFUL NEW KNIGHTLEY & SON EDITIONS OUT TOMORROW! Rohan Gavin’s KNIGHTLEY & SON Books One and Two – KNIGHTLEY & SON and K-9 – are to be re-released this Thursday by Bloomsbury Children’s Books with a fantastic new cover look. K-9 was chosen as one of Sunday Express Summer Picks for Older Children in 2014 and KNIGHTLEY & SON was a Kirkus Best Children's Book of the Year 2014, a Sunday Times Pick of the Week, as well as Guardian Best Kids’ Book and a Daily Mail Summer Book Choice. The Guardian described KNIGHTLEY AND SON as “full of intrigue, suspense and humour ... a modern day classic detective mystery” and the Daily Mail wrote “the tweed-loving Doc is a young Holmes for our times.” KNIGHTLEY & SON was Shortlisted for the Stockton Children’s Book Awards 2014 and the Bolton Children’s Fiction Award 2014, longlisted for Fantastic Book Awards 2014, and received an honour from the International Literary Association Children’s and Young Adults' Book Awards. Gallimard publish the KNIGHTLEY & SON series in France. Rohan Gavin is an author and screenwriter, and father. He lives in London. KNIGHTLEY & SON: K-9 by Rohan Gavin, the much anticipated sequel to KNIGHTLEY & SON, is out today in the US from Bloomsbury. Published in the UK by Bloomsbury UK in August, K-9 has already been chosen as one of Sunday Express Summer Picks for Older Children 2014. KNIGHTLEY & SON was a Kirkus Best Children's Book of the Year 2014, a Sunday Times Pick of the Week, a Guardian Best Kids’ Book and a Daily Mail Summer Book Choice. The Guardian called it “full of intrigue, suspense and humour ... a modern day classic detective mystery” and the Daily Mail wrote “the tweed-loving Doc is a young Holmes for our times.” KNIGHTLEY & SON was also Shortlisted for the Stockton Children’s Book Awards 2014 and longlisted for Fantastic Book Awards 2014. 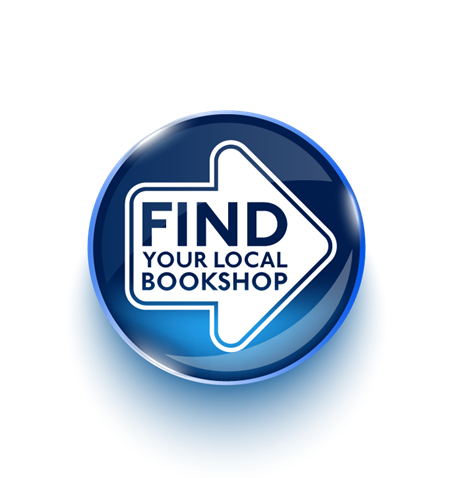 Knightley & Son is also up for the Bolton Book Prize. Gallimard published KNIGHTLEY & SON in France last year. Rohan Gavin is an author and screenwriter, and father. He lives in London and is now writing the third in the series KNIGHTLEY & SON: 3 OF A KIND. US readers, who gave KNIGHTLEY & SON a warm welcome, have a treat in store with K-9. Look out for Detective Days on the Bloomsbury US Twitter account, 18-20 February, inspired by K-9, where readers will be discussing favourite detectives, mysteries, and authors! KNIGHTLEY & SON: K-9 by Rohan Gavin, the much anticipated sequel to KNIGHTLEY & SON, is out today in the UK from Bloomsbury. There’s a great chance to get involved with some sleuthing yourself on swapit.co.uk who are hosting a KNIGHTLEY & SON treasure hunt from 13 August. On 18 August, Rohan will be appearing at Edinburgh Book Festival, running a workshop on one of his favourite books, and inspiration for K-9, THE HOUND OF THE BASKERVILLES. Be sure to look out for copies of KNIGHTLEY & SON: K-9 on the London Underground as part of the Books on the Underground campaign from 11 August. Rohan Gavin is a screenwriter and author based in London. He is the son of award-winning children's author Jamila Gavin, and recently became a father himself. 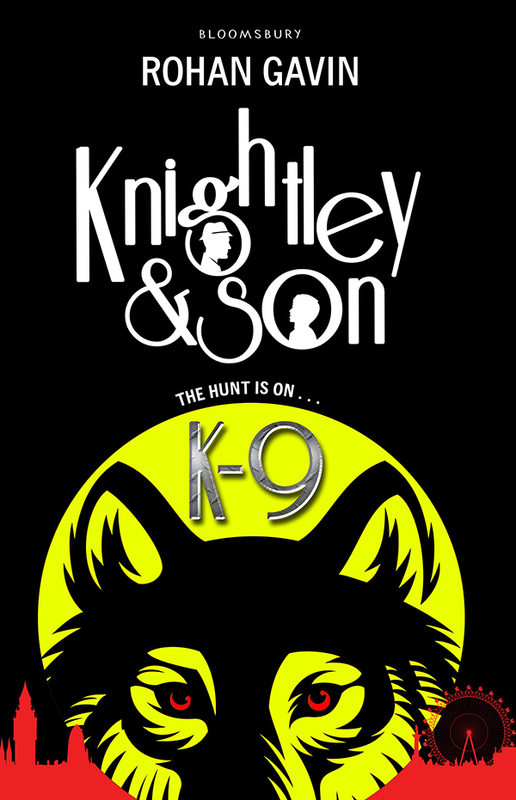 KNIGHTLEY & SON: K-9 is published in the US in February 2015, and Rohan will be touring in the US next year. Rights have been sold to Gallimard in France. Tickets are now on sale for Edinburgh International Book Festival and you can see several Blake Friedmann authors there this August. Edward Carey will be appearing at the festival twice. On 9 August he will be talking with Nathan Filer and Matthew Quick about creating characters in fiction. On 10 August he will be talking to children about his IREMONGER trilogy. The second in the trilogy, FOULSHAM, is published on 7 August. Explore Foulsham on Edward’s website. On 15 August, Monique Roffey will be talking with Neel Mukherjee. Their conversation will explore the different ways their books address idealistic young men railing against their societies. Monique’s latest novel, HOUSE OF ASHES, is published on 24 July. See more on Monique’s website. Rohan Gavin is running a reading workshop on THE HOUND OF THE BASKERVILLES, Sherlock Holmes’s most famous case, on 19 August. The second novel in his KNIGHTLEY AND SON series, KNIGHTLEY AND SON: K-9, published on 14 August, also features a hound or two… See more on knightleyandson.com. Zakes Mda is appearing on 19 August as part of the Voices from South Africa series to talk about his novels, including his most recent book THE SCULPTORS OF MAPUNGUBWE. Margie Orford talks with Parker Bilal about African crime fiction and her novel WATER MUSIC, the fifth featuring detective Clare Hart, on 20 August. See more on Margie’s website. On 25 August, Kerry Hudson talks with Simon Van Booy about her new novel THIRST and love stories. Find out more on Kerry’s Website. Many of our writers also have shows as part of the Edinburgh fringe festival. Andrew Doyle is performing his stand up show Zero Tolerance at the Stand this year from 30 July – 24 August. He will also be performing in a play called Outings at the Gilded Balloon, which explores many true life stories of people coming out, and runs from 30 July – 25 August. Anna Emerson and Lizzie Bates of the Boom Jennies both have shows at the Fringe. Anna Emerson presents “An Evening With Patti DuPont” from 1-24 August. Lizzie Bates’ comedy show Reprobates runs from 30 July – 25 August. You can read more about the shows here. The Edinburgh Festival is one of the largest Arts events in the world and takes place for three weeks every August in Scotland’s capital city.